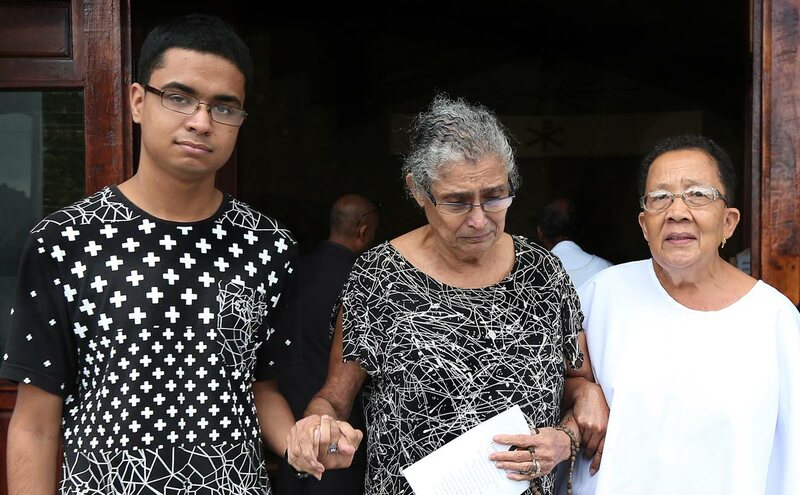 Mourners braved the inclement weather yesterday to attend the funeral of 94-year-old masman Neville Romus Aming at the Church of the Assumption in Maraval. “Daddy was a pioneer of Carnival,” said Aming’s daughter Crystal Aming-Marcus who delivered the eulogy. She fondly recalled memories of him. “His influence lives on in me, as I have been a costume designer for the past 18 years,” said Aming-Marcus. Deacon Mike Smith said he recalled growing up with Aming and realising from a young age that Aming had a passion hinged on Carnival. “It was a privilege to know him. Neville intrigued us with his passion for mas,” said Smith. “His family meant everything to him. 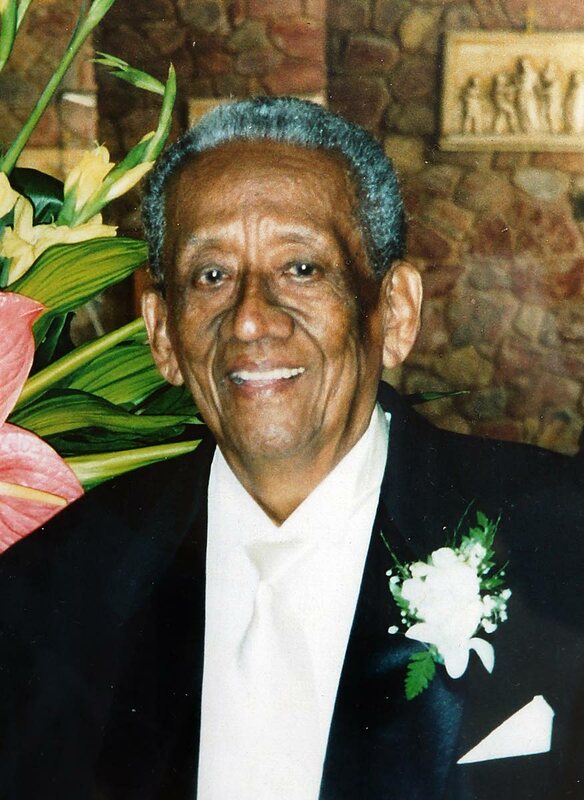 Neville was dedicated to his family, friends, vocation to God and his profession—creating mas. This was reflected in him being awarded the Humming Bird Silver in 1996 for his contributions to society,” Smith continued. Among those in attendance were widow Conchita Aming, eight children, close family members, friends and the president of the National Carnival Bands Association David Lopez. “Neville gave Carnival immense creativity and we thank him for his contributions,” said Lopez. Aming assisted in developing regional, as well as international, carnivals and was one of the founding members of the Carnival Band Leader’s Association. Some of his most popular Carnival presentations were 1959’s - Reign of the Mings; 1960 - Golden Age of China and 1967 Oriental Fantasy. “Neville’s passing calls us to look at our own lives. Let this funeral make you reflect on your lives to see if you are living a life that is pleasing to God. Let his death be a conversion for us,” said Deacon Smith. Aming’s grandson Kyle Awah said, “My grandfather was the best and he will be missed.” Aming died peacefully on September 22, surrounded by family. He was buried at the Lapeyrouse Cemetery. Reply to "Neville, a Pioneer of Carnival"